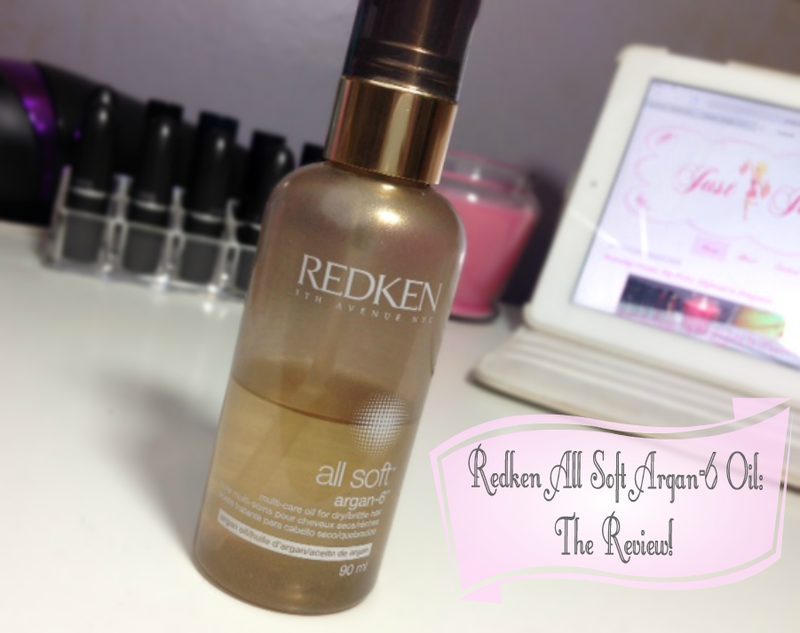 Redken All Soft Argan-6 Oil: The Review! Redken All Soft Argan-6 is probably one of my best finds and I sing it's praises to everyone, I should really be given a cut in their sales I tell you! Combined with the All Soft Heavy Cream (read my review HERE ) this is an amazing treatment. Enriched with argon oil (alternative to Moroccan oil) it really deep conditions my hair, it's super light weight and doesn't leave my hair feeling greasy or weighed down afterwards, which a lot of serums can do. My hair dresser recommended it to me because it's perfect for dry, colour treated, damaged or brittle hair, and believe me I've abused my hair and then some over the years so was in desperate need to give my hair some life.. especially with the job I'd just secured! The ingredients are meant to enrich the keratin in your hair, which as a result will strengthen your hair. The first time I used this my hair felt super soft. I've been using this for 18 months now and I'm still in love with it and believe that this product has had a huge impact on the condition of my hair improving so much (amongst other things) The bottle lasts forever too. I'm on my second bottle and still have half of it left, so you definitely get your moneys worth. Use it before shampooing, rub a few drops through your hair and leave it in for half hour before washing it. Use an overnight treatment which will allow the serum to penetrate deep in to your hair. I do this once a month and my hair feels amazing afterwards! Apply one or two drops to wet hair and smooth it through the ends. This is good if you suffer with frizzy hair as it really does tame and smooth down your hair. Use after straightening your hair to add shine and also smooth down any fly away hairs that you may have. I wouldn't recommend doing all of those steps each time you wash your hair as it will become very weighed down and greasy, in my honest opinion two of those steps are more than enough. What I also love about this is that it has a built in heat defence, so for those who don't like spraying a heat protection on to your hair this is great as it's already in it for you! You can buy this from anywhere that stocks Redken but at the moment Look Fantastic have a 30% off offer Redken All Soft Argan-6 Oil so it's only £18.20 which may sound a lot but when the bottle could potentially last you a year, it's really not a lot of money! Has anyone else used the Argan-6 Oil? Or can you recommend a good hair treatment?